Replenishing strength and finding one’s centre are crucial for a fulfilling life. Our carefully designed fitness room will assist you in training all your muscles and strengthening your circulation. 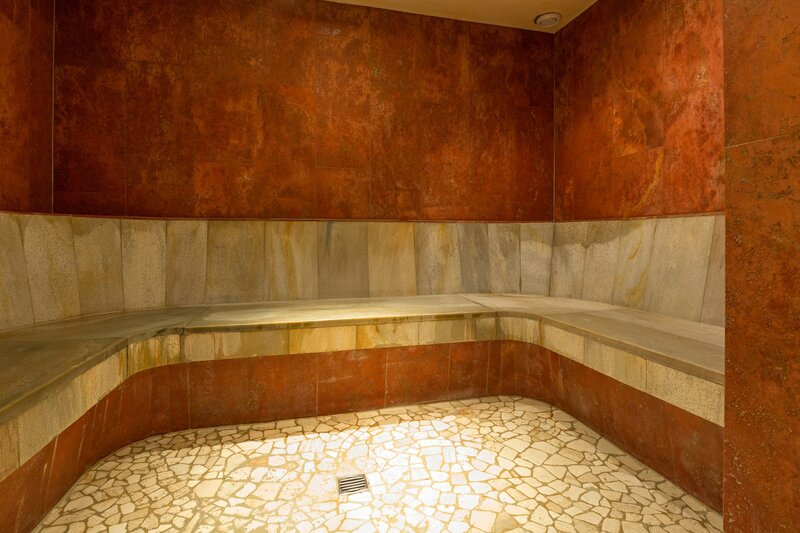 Our lovingly designed wellness and sauna area will help your body and soul find their balance. 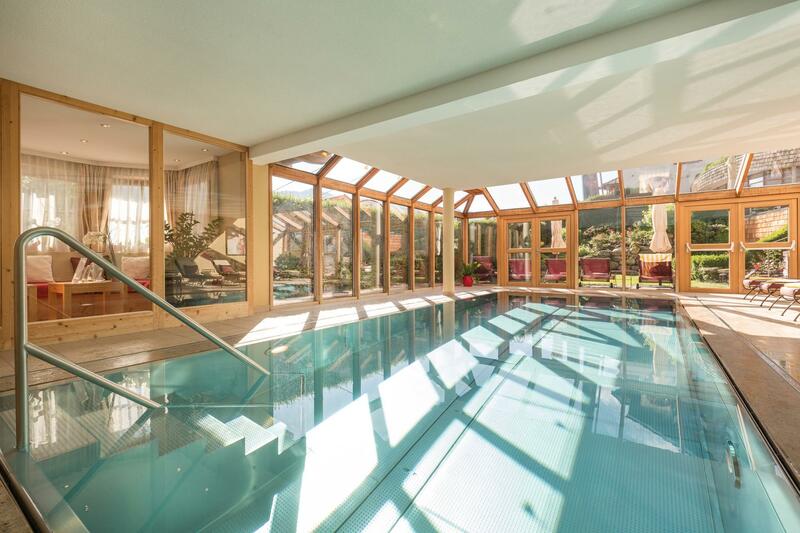 The panorama indoor pool will let you marvel at the sky as you glide through the water. 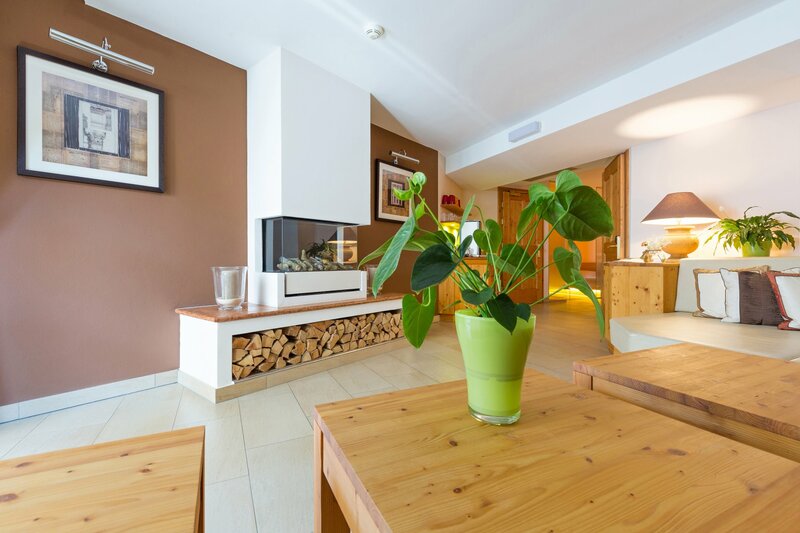 The sauna provides rooms of various temperatures as well as a soothing quiet room equipped with a magical salt stone wall and stimulating rocking waterbeds. The perfect conditions for harmony. The microclimate of the salt will vitalise you without the need for input from yourself. 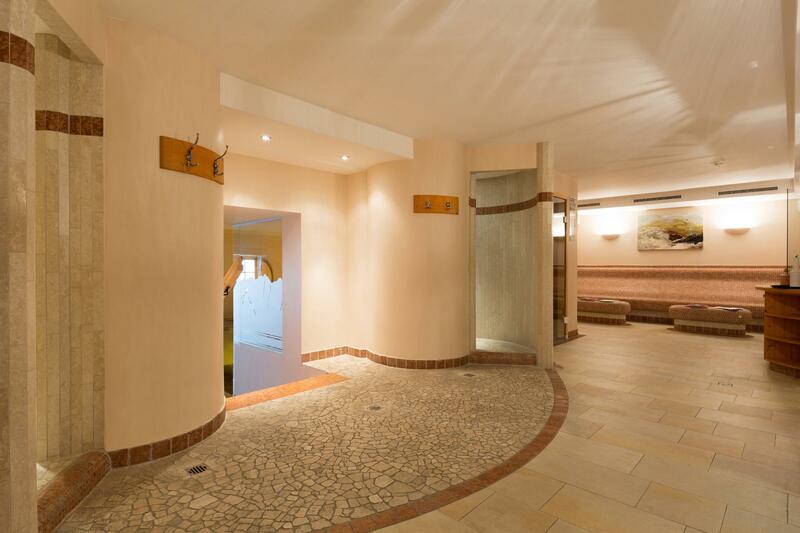 Our Kitzbühel Spa Hotel is an oasis of relaxation and rejuvenation, which offers guests in our lovingly designed spa area the perfect ambience for a laid back vacation in the Alps: drawing energy from the mountains, the quiet sanctuary helps balance the rhythms of your body to reawaken your senses. 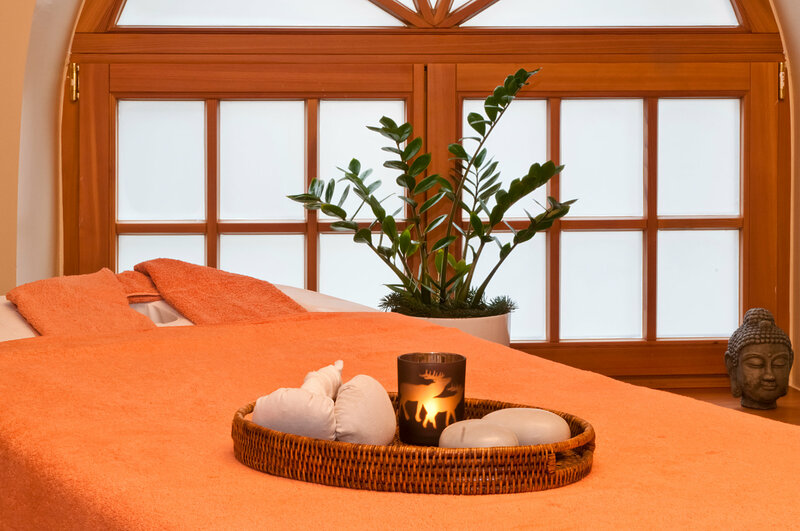 Immerse yourself in a world of peace and relaxation at in our spa. 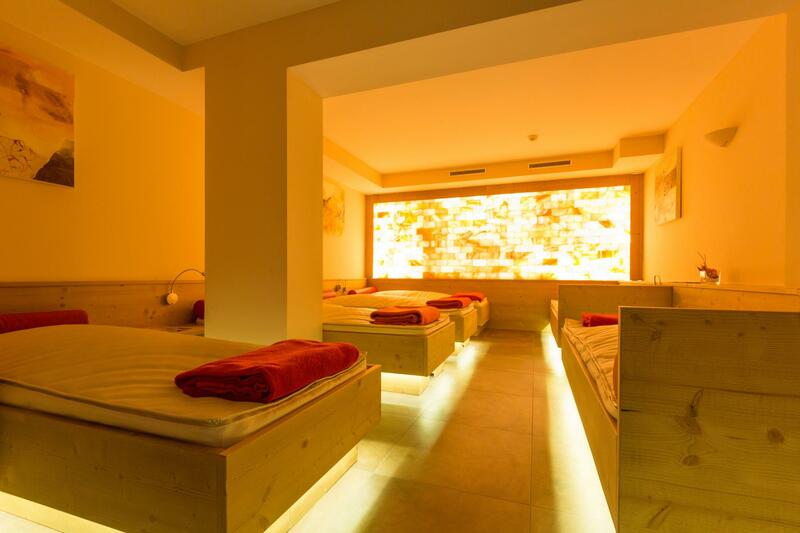 The cosy water beds are surely one of the highlights in the spa to relax after the sauna.The beautiful reddish color of the illuminated salt stone wall produces a pleasant and homely atmosphere. The microclimate of the salt increases the well-being and the mental and physical performance. The beneficial effects of salt are known to humans since Hippocrates: Natural rock salt is antibacterial and air cleaning. It is odorless itself, but can bound smells, bacteria and tiny particles. Because of its ordered crystalline structure our body can easily absorb it. A whole range of health and beauty treatments are available including scrubs, massages, manicures and facials. 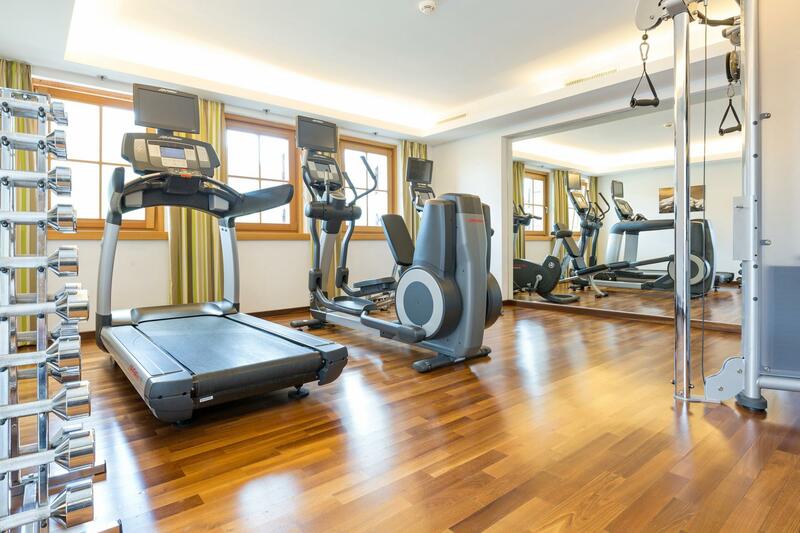 Our Fitness Centre makes it a joy for guests to maintain personal goals and fitness routines while away from home. 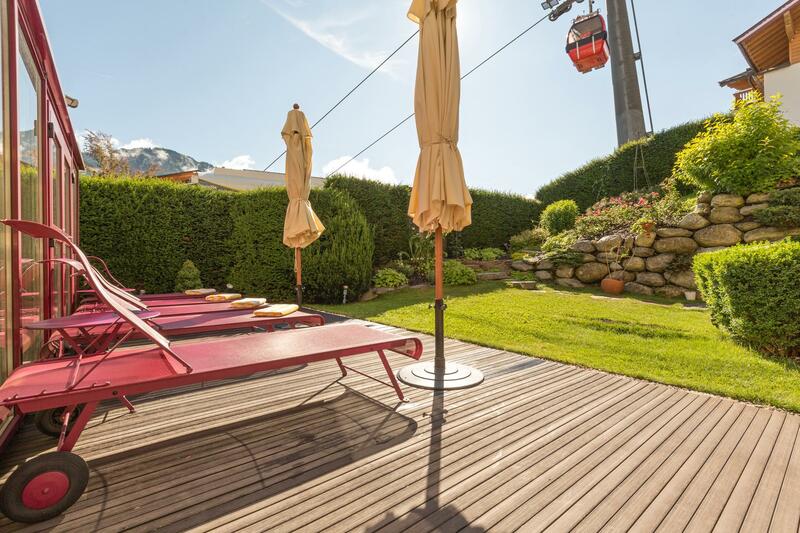 Many of our guests take advantage of a carefully selected range of cardio, strength and weight training equipment while looking over the Kitzbueheler Horn mountain range. Petra, the lady responsible for the wellbeing of our guests at our beauty and spa area introduces herself. Following Johann Grander’s natural procedure, the original grander water is a revitalised water that brings from its origin all the preconditions that display a pure, high-quality and bacteriologically clean drinking water. His water is matchless because it remains stable and fresh for years. This is attained by a completely natural way of water revitalisation, without adding any other ingredients or conventional water treatment methods. To experience its energy, the regular enjoyment of small amounts is sufficient. Experience the revitalising effect by experimenting with it personally. There are no limits to your fantasies! 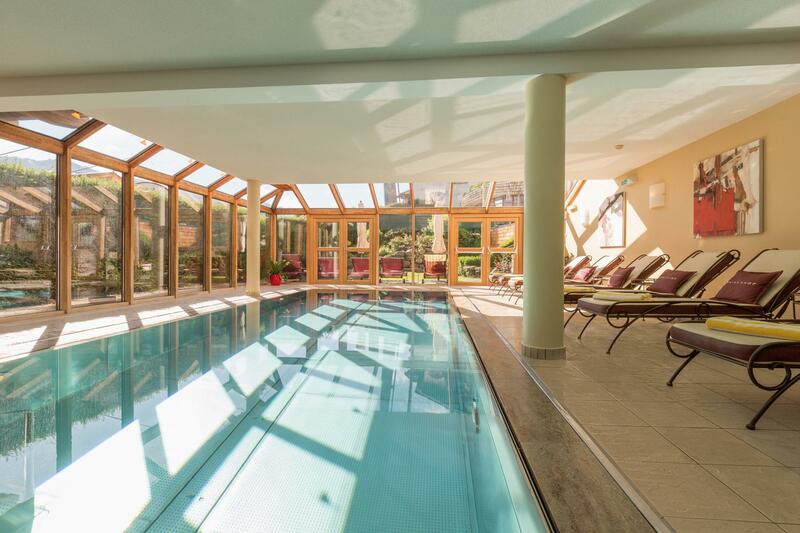 Our hotel provides the original Grander Water in the whole house: from the pipes to the swimming pool – you will find the the vitalized water everywhere.